Why did Greek actors in the age of Sophocles always wear masks? In this book, first published in 2007, David Wiles provided the first book-length study of this question. He surveys the evidence of vases and other monuments, arguing that they portray masks as part of a process of transformation, and that masks were never seen in the fifth century as autonomous objects. Wiles goes on to examine experiments with the mask in twentieth-century theatre, tracing a tension between the use of masks for possession and for alienation, and he identifies a preference among modern classical scholars for alienation. 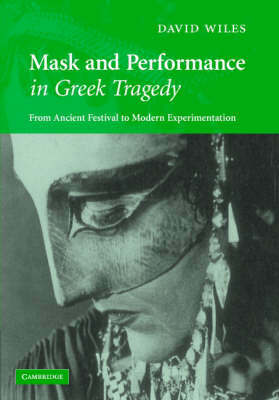 Wiles declines to distinguish the political aims of Greek tragedy from its religious aims, and concludes that an understanding of the mask allows us to see how Greek acting was simultaneously text-centred and body-centred. This book challenges orthodox views about how theatre relates to ritual, and provides insight into the creative work of the actor.